Fusion of multiple mineral particles with specialized skin conditioners produces a unique aesthetic and sensory combination that encourages frequent use. Age Defying Fusion feels as elegant as a typical high-quality beauty line, yet every product has sunscreen, so your skin in not only fortified, but protected. TiZO products are made with epidermal emollient conditioners, making skin softer. It does not contain any oils or fragrances. 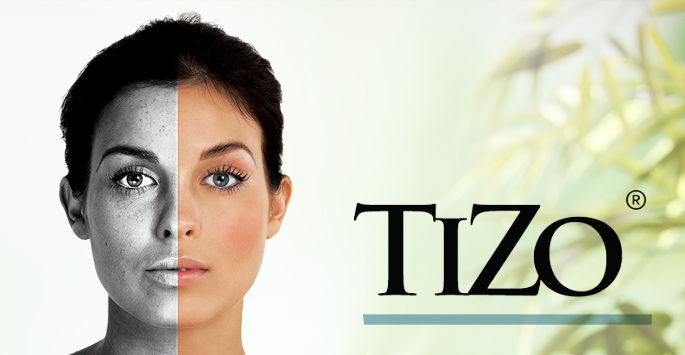 TiZO contains pharmaceutical-grade minerals that sit on top of the skin, deflecting the sun’s rays. Unlike chemical sunscreens, these minerals are not absorbed by the skin, eliminating potential skin irritation. TiZO has titanium dioxide and zinc oxide particles that create a uniform layer of protection on the skin, preventing both UVA and UVB rays from reaching the skin, inhibiting premature skin aging and the formation of free radicals. TiZO uses only top-rated sunscreen ingredients, as recommended by the Environmental Protection Agency.